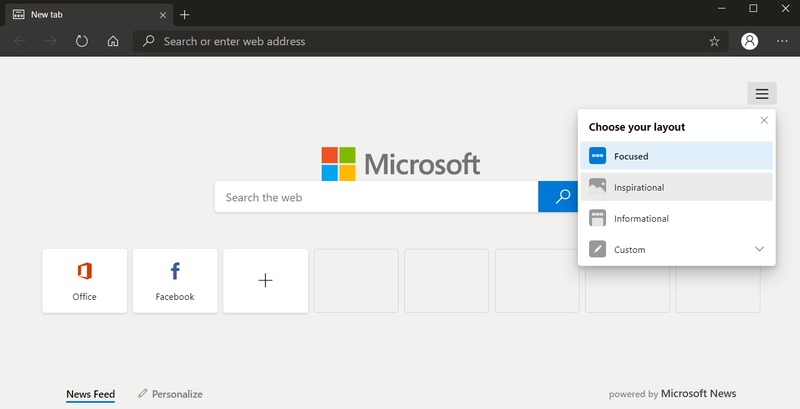 Microsoft has been working on a new version of Edge browser based on Chromium open source project and the browser is slowly getting ready for public beta testing. 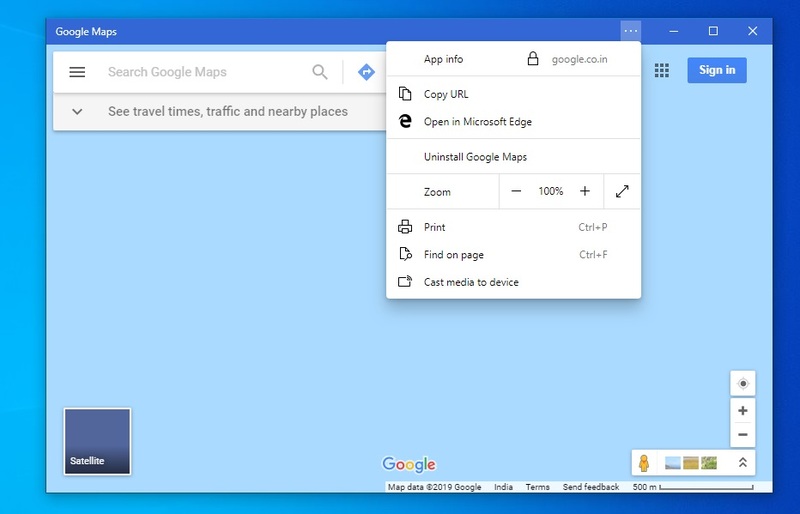 The shift to Chromium promises big improvements to Edge, including support for a wide range of extensions, picture in picture mode, faster updates and more. 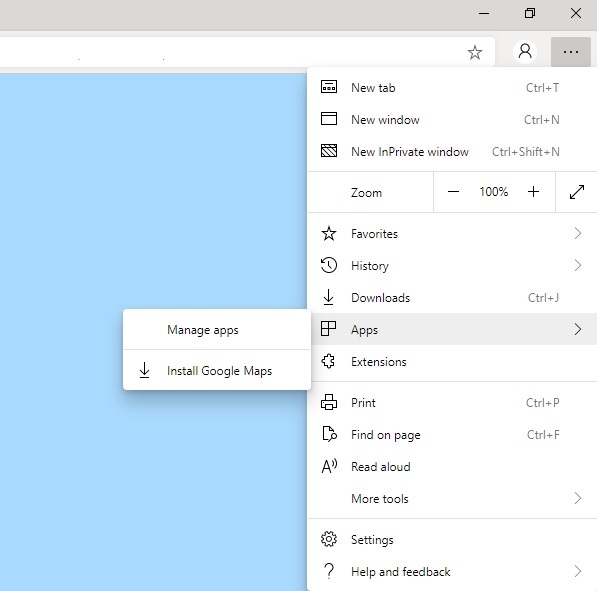 The interface of Microsoft Edge resembles the appearance of the current Edge and as well as Chrome. At first glance, you will find the Chromium Edge design very similar to the old look, but there are some noticeable changes. 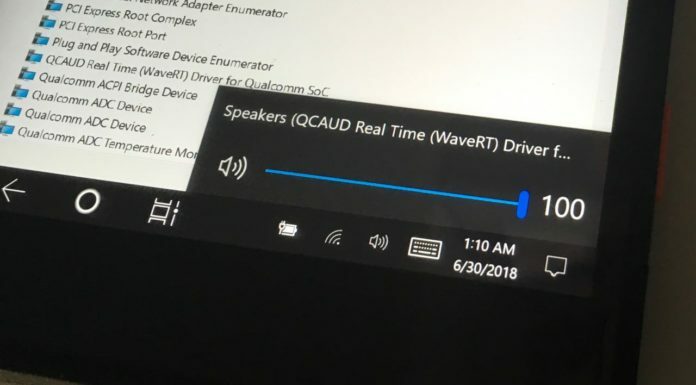 Next to the address bar, there is a profile pic of the connected Microsoft account which is similar to the Google profile in Chrome. If linked, it will allow the browser to sync your bookmarks and other data between your devices. Chromium is the base of Google Chrome and now Microsoft Edge. 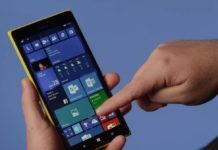 This allows Microsoft to use some of the Chrome features in Edge and modify it with its own interface. For example, the profile tab look in Edge is slightly modern than the one in Chrome. The slide-out menu, which can be accessed by tapping on three dots, looks similar to Chrome. But it has a modern finish and there are icons next to the options such as open new tab, new window, downloads, bookmarks etc. The old Microsoft Edge has Fluent Design, but this new Chromium version does not come with acrylic-looking effects. 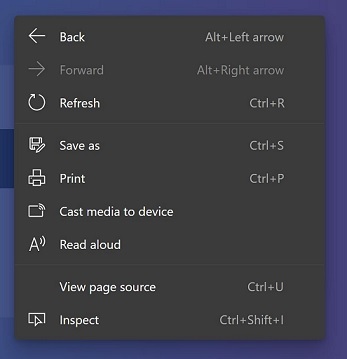 Chromium Edge has rounded corners and drops shadow effects for slide-out, context menu, tab right-click menu and other areas. Microsoft has used icons to modernize the experience and this also creates a more clean look throughout the browser. 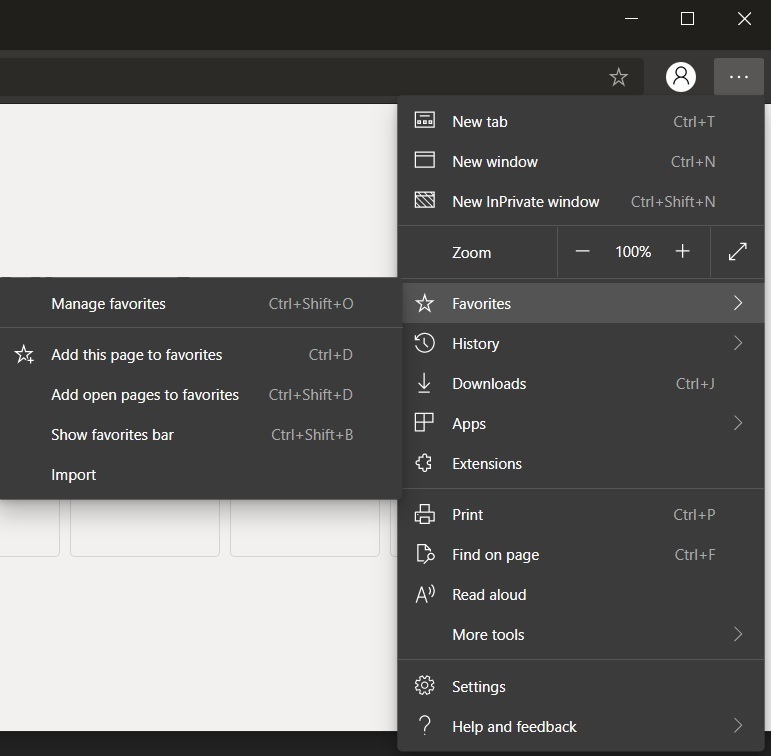 Chromium Edge looks modern, clean and the menus have icons for ease of use. The browser now has one single page to manage basic and advanced settings. 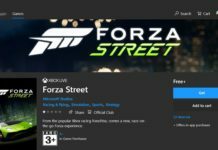 You can customize the appearance, set up privacy features, configure startup options, customize downloads experience, check for updates and more from the Settings page. The privacy page in Chromium Edge allows users to configure per-side permissions, allow or block access to flash, camera, microphone, and more. 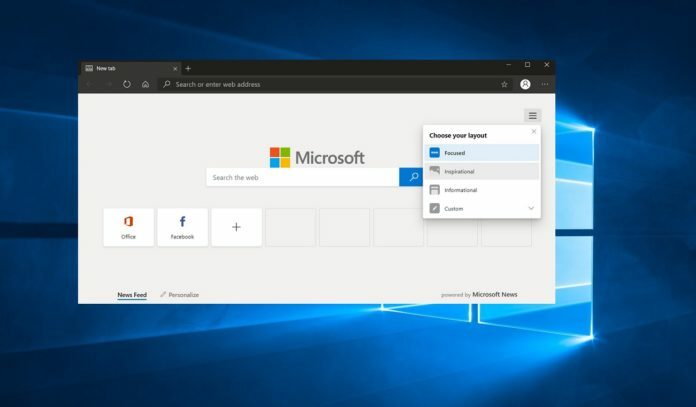 When you launch the browser for the time, you can choose to start from scratch or you can also import the data from the original (old) Microsoft Edge. 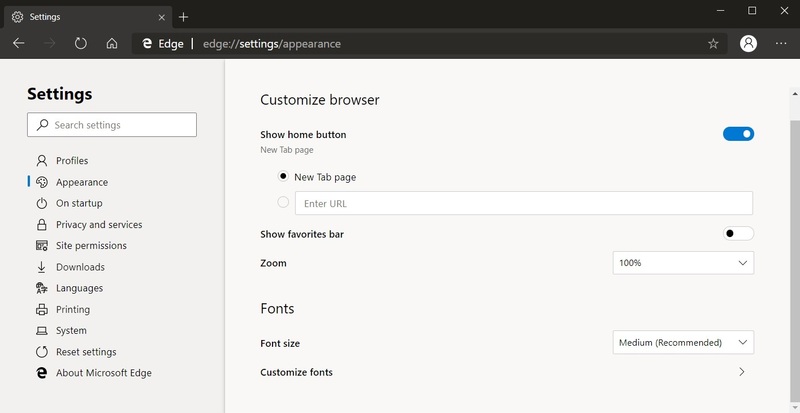 While doing the initial setup, Edge will also ask you to customize the look of the browser and choose a default look for the homepage. You can choose from a set of layouts – Inspirational, Informational, Focused or Custom. The inspirational layout puts the wallpaper of the day from Microsoft Bing and Informational layout put more emphasis on the news feed. On the other hand, the focused layout offers a clean look without the background wallpaper and news stories. 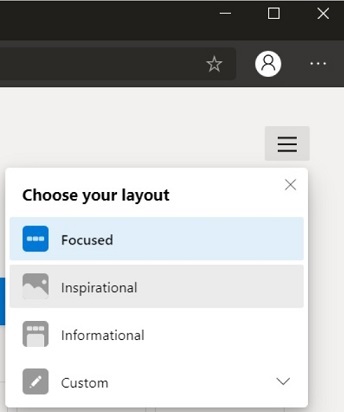 The focused mode has a blank page with the logo of Microsoft and list of frequently visited websites which can be edited. As noted above, Chromium Edge has a user profiles bar. Unlike Chrome, Microsoft Edge will allow you to select a profile pic of your own choice. 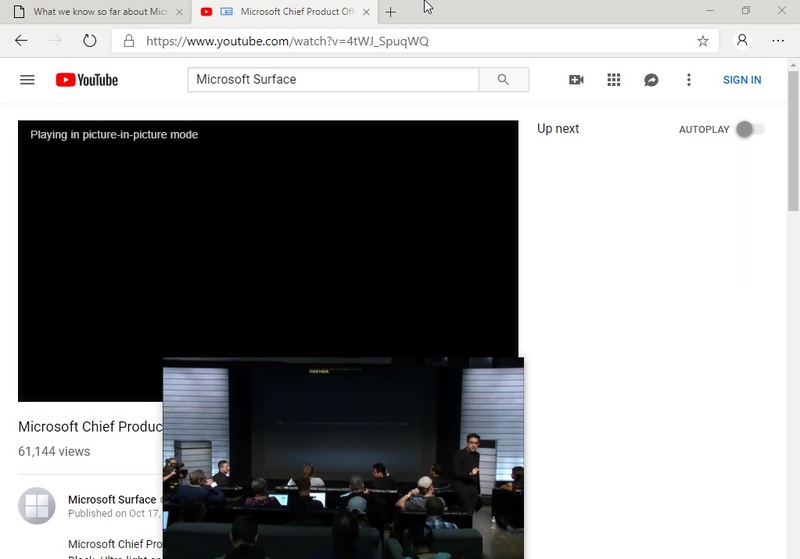 Microsoft Chromium Edge is much faster than the old Edge when visiting popular websites, including YouTube. At the moment, Microsoft Chromium Edge scores lower than Chrome in HTML tests, but it’ll eventually get better. Microsoft Edge now comes with a lot more features that you may be more familiar with if you have used Google Chrome. 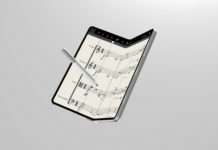 It also comes with the features that were previously available in old Edge. 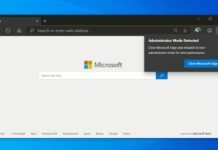 Dark mode is also included in Chromium Edge, but at the moment, it isn’t enabled by default in this release. 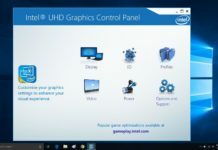 It can be enabled by navigating to the flags menu and it also respects the system-wide Windows 10 personalization settings. The original Microsoft Edge featured a highly advanced PDF reader with several features, including the ability to read the page aloud and web inking. 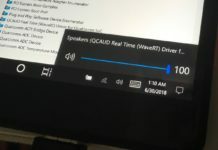 In Chromium Edge, the interface of the PDF reader is unchanged, but some key features such as read page aloud and web inking are unfortunately missing. 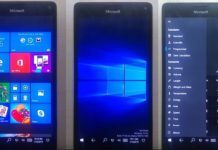 It is likely that Microsoft will add them to the browser in a future release. 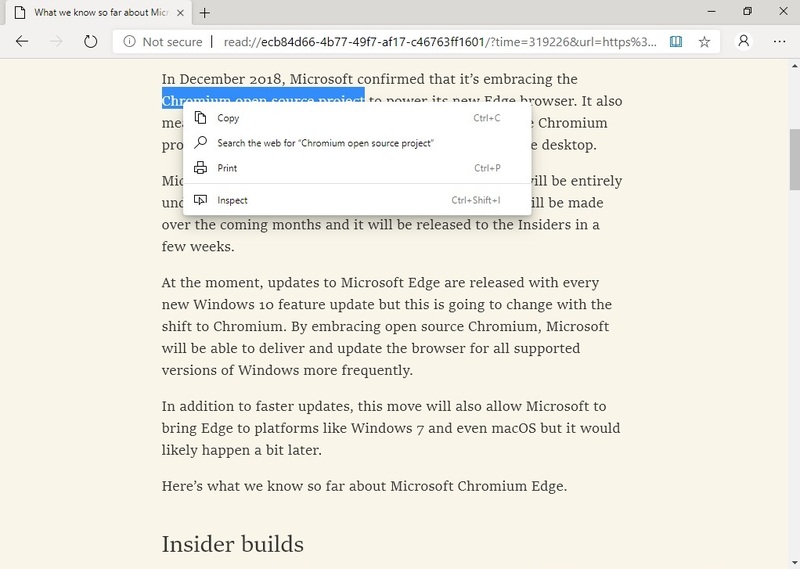 Chromium Edge also comes with a reading mode feature, which removes all elements of the web pages, including banners and navigation elements. It also changes the background to a colour which is easier to view in different lighting conditions. After opening a compatible web page in Edge, users can click the Book icon in the top right to turn on reading mode. Chromium Edge is also a getting a Chrome feature called picture-in-picture mode. You can open any video in Chrome or YouTube and right-click on the video once or twice to access the Edge menu. From the Edge menu, click on picture-in-picture option to shunt the video to a small window in the corner of your desktop. There is also an option to change the size of the picture-in-picture window. 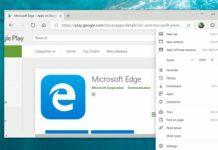 Chromium Edge supports extensions from Microsoft Store, Microsoft web store and even Chrome Web Store. 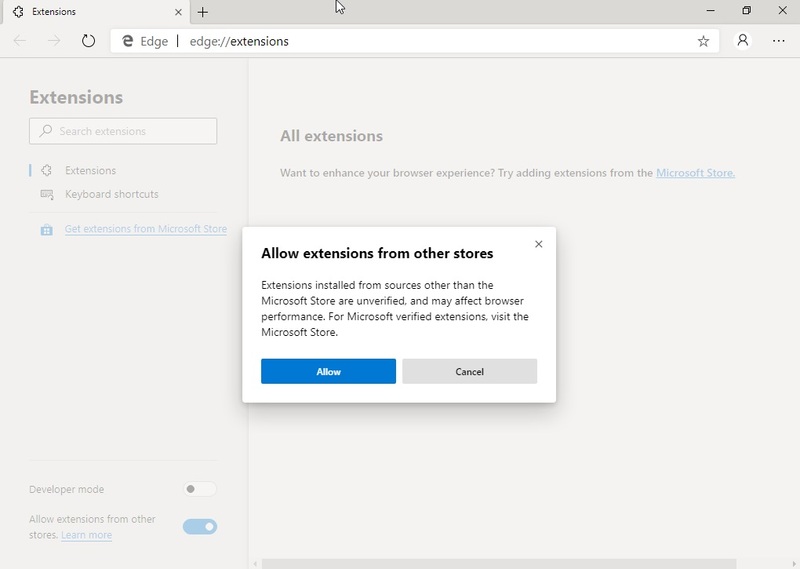 Users can install the extensions from Chrome Web Store by turning on third-party extensions support in settings of Edge. We were able to install several Chrome extensions and all of them are working perfectly as they do in Google Chrome. Chromium Edge also comes with a new feature that allows users to install Progressive Web Apps (PWA). For those unfamiliar, Progressive Web Apps (PWAs) are websites that behave more like native applications. The approach addresses the app gap problem and allows users to access services across different platforms. We installed Google Maps PWA and it does look like a native application. 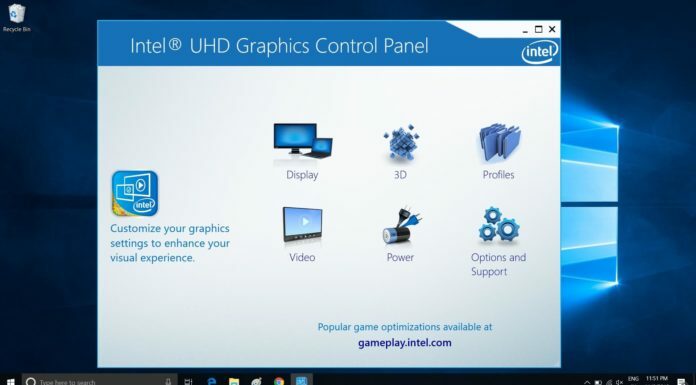 It is also optimized to run on devices with less RAM and processing power. 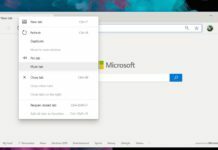 Microsoft Chromium Edge is a better version of Chrome with a modern look and additional features. In comparison to old Edge, the Chromium Edge is faster, efficient, cleaner, and comes with support for new features. 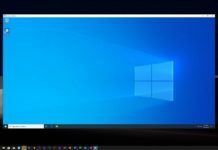 Microsoft is expected to begin testing Chromium Edge with the beta testers in some weeks and the browser will be shipped with Windows 10 in a future release, probably later in 2019. It is worth noting that Chromium Edge is a work in progress project. The final version of the browser, which will come later in 2019, could look shape up to look a bit different. Q. Will all the advanced features of EDGE be ported to the new EDGE on CHROMIUM? Particularly those relating to video playback and e-commerce? And as for HTML compatibility, the one site I use for testing HTML 5 compatibility gives lots of points for HTML features that have been rejected or still in proposal stage. Be nice if we just got a score based on HTML compatibility for stuff that is actually part of the standard.